Welcome to another Scouting year! We are excited to offer Wolf, Bear, and Webelos Elective Adventures, as well as our most popular Boy Scout Merit Badge Workshops. In addition to these workshops, we offer Private Workshops or our Satellite Program of select Boy Scout Workshops that come to you! Use the tabs under the “Boy Scout Public Programming” header. Can’t make the scheduled workshop dates? 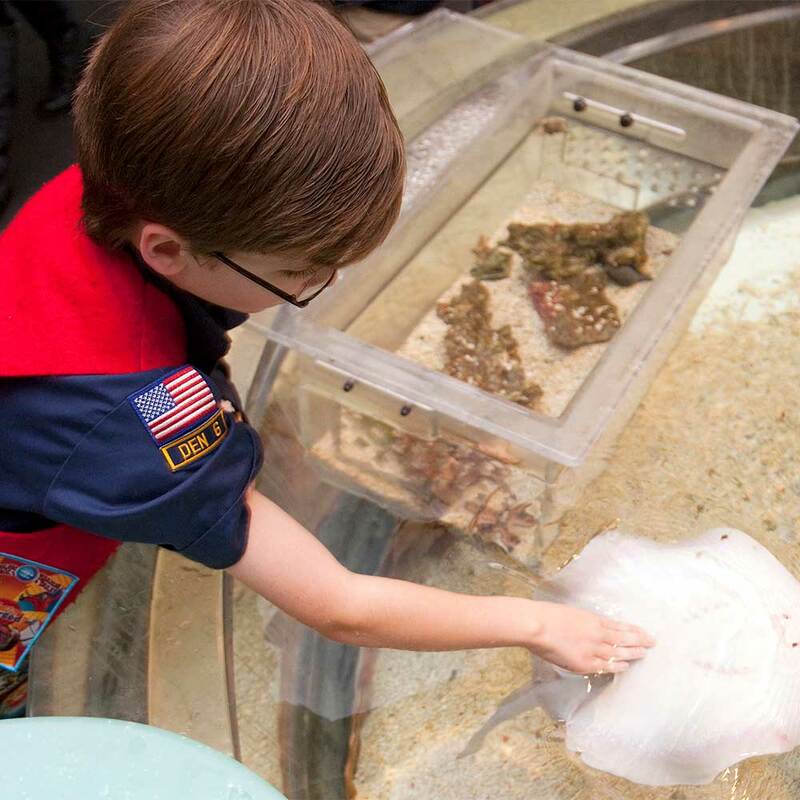 We can provide any of our workshops to Scouts here at Discovery World. A minimum of ten (10) Scouts is required and one chaperone for every ten (10) Scouts. Offered Mondays, Tuesdays, and Thursdays, Discovery World comes to you! You provide the space, we provide the expert, materials, and experiments to make the most of your next meeting. A minimum of ten (10) Scouts is required, a working space for each Scout (tables and chairs), and one chaperone for every ten (10) Scouts is required. Discovery World will bring all the necessary supplies. The Discovery World Scout Team will travel within a 30-mile radius of Discovery World, mileage fees apply at $.50 per mile. An extra distance fee of $20 will be added for any distance 31-45 miles from Discovery World, in addition to the $.50 per mile. Yes. Reservations must be made in advance. Registration for all workshops closes 24 hours in advance from the workshop start time. Only registered Cub Scouts or Scouts BSA of the correct age and rank will be allowed into Boy Scout workshops. No. Siblings are not allowed to be in any workshop. Only pre-registered Cub Scouts or Scouts BSA are allowed to attend Boy Scout workshops.